UPDATE 09/12/12: KVIA.com reports that statements made by the grandmother, Leticia Mesa, about events leading up to the savage attack were inconsistent, as was her knowledge of the dog's previous aggressive acts. The autopsy report shows the child was alone with the dog when she was attacked. "There's a difference between a crime and an accident," District Attorney Amy Orlando told KVIA.com. The Mesa family is responsible for the death of Jazilyn. Four months after our last update about the pit bull mauling death of Jazilyn Mesa, authorities have arrested and charged three residents of the home where the deadly attack took place. Leticia Mesa, 52, the child's paternal grandmother, is charged with negligent child abuse resulting in death. Arthur Mesa Sr., 57, and Jesus Mesa, 21, the child's grandfather and father respectively are each charged with one count of possession of a dangerous dog resulting in death. Through interviews with individuals, Las Cruces Police detectives learned that the Mesa's pit bull, named Tyson, had demonstrated aggression toward people and dogs in the past. Jazilyn's mother and paternal grandmother had also expressed concern about the pit bull and had asked the Mesa family to get rid of the dog, according to police. When the Mesa family refused, Jazilyn's mother mandated that her child not be allowed anywhere near the dog when visiting the home. Leticia Mesa was booked into the Dona Ana County Detention Center with a $15,000 bond. New information from KVIA.com reveals that Jazilyn Mesa was killed by her father's pet pit bull. Arthur Mesa, the baby's grandfather, said that Jazilyn was never allowed to be alone with the dog. Jazilyn had wanted to play outside and the grandmother was in the process of putting the dog in the kennel when it attacked. The grandmother tried to stop the attack, but the pit bull would not let the baby loose and drug her underneath the ground-level trampoline. Mesa says his wife jumped on Jazilyn to cover her but the dog would not let the baby loose. He says the dog then took the baby underneath a trampoline in the backyard. Mesa says his wife, Letitia Mesa, grabbed rocks and was hitting the dog with them. The pit bull turned its attention upon neighbor Barry Sander after he arrived with a handgun, according to Mesa. Snyder fired multiple shots at the dog, hitting it six times. One shot also hit the grandmother, Letitia Mesa, by accident. Both the baby and the grandmother were rushed to area hospitals. Jazilyn did not survive her injuries. Letitia has since been released from the hospital and is recovering at home. There is no confirmation at this time of negligent charges being filed. Since 2005, DogsBite.org has recorded 5 fatal dog attacks in the State of New Mexico. 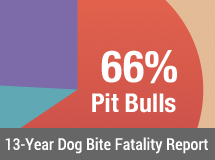 80% of these deaths are attributed to pit bulls. 80% of all victims have also been adults. Only one case resulted in criminal charges, the owners of the pit bulls that struck down Margaret Salcedo on Easter Sunday. The 2006 death of Juan Garcia was only located as recently as 2011. It is possible that there are additional unidentified fatal dog maulings between the years of 2007 to 2010. 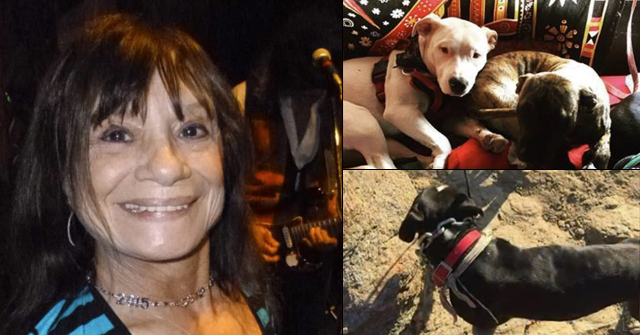 Police continue to investigate the most recent New Mexico fatal pit bull mauling. The deceased child has been identified as Jazilyn Mesa and was determined to be 15-months old. The incident also resulted in the accidental shooting of the child's paternal grandmother, Leticia Mesa, 52, who was shot by a well-intentioned neighbor who intervened with a firearm to stop the family pit bull from killing the child. Police said the woman's injuries are not life threatening. Authorities say it is unlikely that the shooter, Barry Snyder, 69, will face any charges. 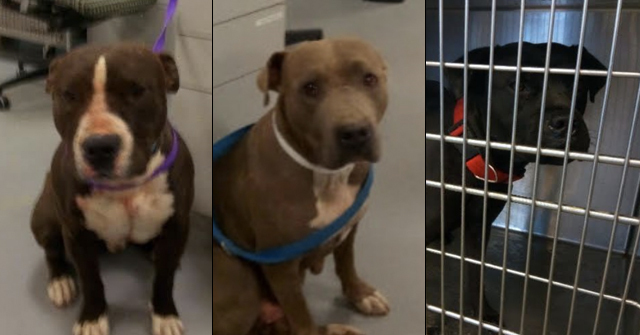 Las Cruces, NM - In a developing story, there has been another fatal pit bull mauling in the State of New Mexico in less than one week. At the time of the incident, the child was in the backyard of her grandparent's home. The girl's 52-year old grandmother was accidentally shot in the leg after one neighbor intervened with a firearm to stop the pit bull attacking the girl. Both victims were transported to El Paso hospital. The child did not survive the injuries inflicted by the family pit bull. A different neighbor, Chris Wollard, who heard the gunshots from about 100 yards away, also ran to the home to help. He looked into the backyard where he found the grandmother and child hiding underneath a trampoline.1 Wollard, a respiratory therapist, took the child and began giving her mouth-to-mouth resuscitation until paramedics arrived. He told the Las Cruces Sun-News that the child was in "pretty bad shape." Police officials are continuing their investigation. 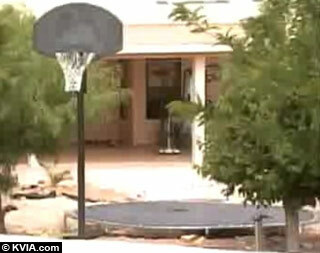 1It is unknown if the child was playing on the trampoline prior to the attack. What is known is that incidents of pit bulls attacking children playing on trampolines occurs far too often. 190th US Piticide since the looney tunes who constucted the famous CDC report pulled a fast one on the American people. Dr Randall Lockwood: “The animal slept in my sleeping bag during camping expeditions and appeared friendly, but was eventually hunted down and shot for killing a sheep” SAY WHAT?!? What a terrible tragedy. That poor child. Thank God the neighbor killed the beast, otherwise someone would try to save it. And that someone could have been Trujillos, the AC guy. I can't believe he actually said there are no bad dogs. That's nutter speak. The grandmother is going to have to live with the memory of the horrifying last moments of her granddaughter's life. I wouldn't wish that on anyone. But I do wish she had learned from other's mistakes, and gotten rid of that dog as soon as she had a grandchild. With pits, supervision is not enough to ensure a child's safety around them. She probably thought like so many others that her pit would never do such a thing. I have an article from the mid-1980s from Tijeras, New Mexico, which discusses the fatal attacks some thirty (30) years ago. Sadly, this is not something unheard of in New Mexico. In fact, the City of Tijeras was a pioneer in the area of Breed Specific Laws and that case and what the Judges say in its opinion reflect much of the same from all the way across the country in the recent Maryland, Solesky case. The more things change, the more they stay the same…Poor kid. That is creepy, mt! You know, I bet these owners were so pleased with how well the dog behaved around this child, up until this point, of course. I'm sure they really believed "it's all in how you raise them." They might have even fallen for the "nanny dog" claptrap. Oh boy…this is getting really sad, I think the killer dog is depicted on the father's Facebook timeline (Feb 13, 2012) right next to "I love these animals" and the famous poetry pict: "Judge the Deed, Not the Breed, So Give a Pit Bull a Try, Before Sentencing Them All to Die"… There just aren't words. Looks like it was a lazy house dog, just over 2-years old, that pulled the snap-o-la. Wow, so sad, mt! I might have missed it in the articles, but not sure whose dog attacked, whether it was his or the grandmother's. I just hate that other nutters slam the comments with how great the dogs are with not a care for the victim. That's all they care about — trolling for attack stories in order to defend the pits. And blaming the grandmother here. All the pictures we see of children with their faces right up to pit jaws, in order to prove how good they are with children — if the dog decided to attack, there would be nothing they could do even if they were only 2 feet away. Sometimes even when they are holding the child in their arms. Don. B, I would be interested in that article. That child's beautiful face haunts me… and brings tears to my eyes. What a horrid and preventable tragedy. That link appears to be dead. Taken down or only for fb members? oh looking at that little girl's face and those facebook pictures of the dog – it is very disheartening. One of the comments under the dog JOKINGLY says, "some dogs ya just gotta watch every minute!" I don't undestand why people can't get the idea that these dogs are unpredictable and they can be cute couch potatoes for years before killing. There are so many people who don't have knowledge or expertise with dogs. They rely on those who claim to be experienced for their guidance. When shelters, breeders, rescues, vets, animal control, AKC,UKC, and groups like Animal Farm Foundation give false consumer information and tell people that pit bulls are "nanny dogs" and "good with kids" and "just need love," that is false information that leads to death and injury. It is misrepresentation. It is consumer fraud. These people and groups need to be held responsible for the lies they tell. A real injustice was done here that should be highlighted. While this incident was unfolding, before the incident had even started to be investigated, the director of Amnimal Services, Dr. Beth Vesco-Mock, told an outrageous lie, falsified the truth, and blamed the victim and family. Beth Vesco-Mock is a DVM and she fabricated a lie to protect a fighting breed and cover the truth. She should lose her professional license, and certainly her job. She persecuted that family for her own personal interests. 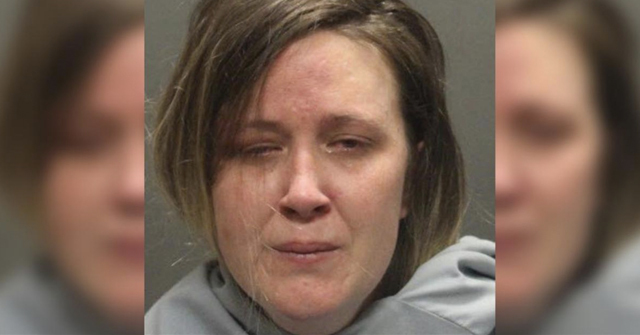 "The toddler appeared to have been left alone with the dog in the backyard, said Dr. Beth Vesco-Mock, director of the Animal Services Center of the Mesilla Valley. "That is just not appropriate. Young children need to be supervised when they're around pets," said Vesco-Mock, who said that dogs can react, sometimes negatively, when children make sudden movements or behaviors around them. "It does not mean the dog is vicious, or a bad dog; there is no such thing as a bad dog, but you have to be responsible with your children," Vesco-Mock said. Animal Control officers took the pit bull to the Animal Service Center of the Mesilla Valley." I wish that someone could tell me how Vesco-Mock was hired, because she had been fired from her previous job for poor performance in Animal Services in DeKalb Copunty Georgia. She apparently is a No Kill zealot and was also overcrowding the shelter. How does she even have a license? People must investigate who is running animal control in their area and research these people, because zealots who have been fired are just getting recycled and putting people at risk. Dr. Beth Vesco-Mock, director of the Animal Service Center of the Mesilla Valley, noted that all dogs, including smaller breeds such as chihuahuas and cocker spaniels, bite, but not all can cause damage like a pit bull or other bully breeds. "It's like comparing shooting a .44-magnum to a .22-pistol," said Vesco-Mock, who said she once killed an 8-week-old pit bull puppy that was attacking the other puppies in the litter. The Court wrote: "Some are similar to the arguments made in the appellant or amicus' briefs filed in the present case by supporters of pit bulls. In light of Maryland's situation, we find those particular arguments unpersuasive." Yes, this particular study by Voith was used by the other side to help their case. There are several decades of evidence from appellate courts that uphold the basic principal that proving with "mathematical certainty of scientific evidence" that a particular dog is a pit bull is not needed. Indeed the finding of a pit bull status can be based on an "expert opinion or on nonscientific evidence." Furthermore, doggie DNA is subject to overwhelming criticism as to its actual validity. The premier DNA lab, Mars Wisdom Panel, admits that they cannot build an accurate profile for the pit bull breed. Does Wisdom Panel® Insights™ test for "Pit-bull?" The term "Pit-bull" does not refer to a single or recognized breed of dog, but rather to a genetically diverse group of breeds. Pit-bull type dogs have historically been bred by combining guarding type breeds with terriers for certain desired characteristics – and as such they may retain many genetic similarities to the likely progenitor breeds and other closely related breeds. Due to the genetic diversity of this group, we cannot build a DNA profile for the Pit-bull. Hmmm…I read where they wouldn't build a profile because it would be used for BSL purposes. Very sad loss or losses..All these victims tragedies are terrible!! I am very curious to know at what point in time or era did the pitbull breed begin to get so out of control like this? I've seen some people say 30 years now?? I know there was a time..even if it was long ago…that they weren't THIS out of control..running around mauling children and killing their owners. Deaths and attacks monthly…crazy!! I am honestly curious as to when this madness began. Was it really 30 years ago? What a disturbing update to this already horrible incident. This was indeed a crime and not an accident. Another child killed by a Pit Bull while in the care of his Grandmother in North Carolina yesterday…These are no longer "Accidents"